Click the ACCESS NOW button on the left side of the screen. If you don't yet have an account, you can register for one. Enter your name and email, and choose a password. Accept the terms and conditions, then click Next at the bottom, or press Enter. Next, select the State, District, and School name for your school. If you are not in the United States click the link above the State field. If you are at a private school, not able to find your district, or school, click the appropriate links provided on the form. 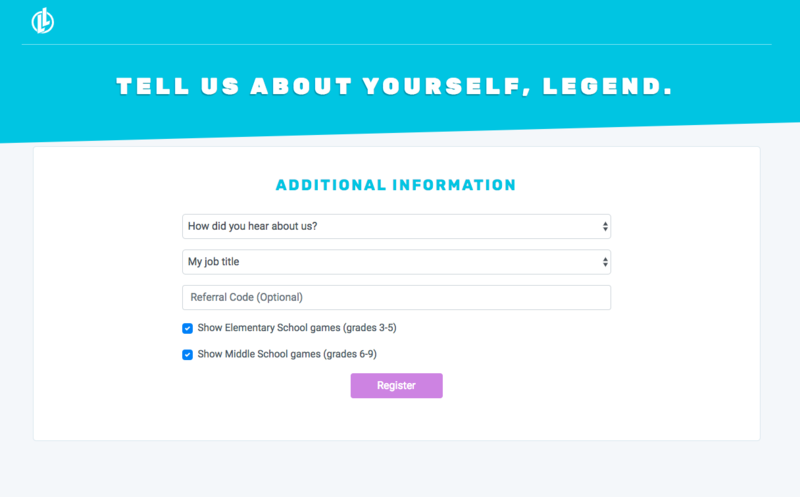 Choose from the dropdown how you heard about Legends of Learning, select your job title, enter a referral code if you have one, and select the grade levels you would like to see in Legends of Learning. If you've already registered for an account, click Sign in here. To sign in, enter your email and password, then click Sign in or press Enter. NOTE: For security reasons, you will be logged out of Legends of Learning after 60 minutes of inactivity. You will then need to log back in to access Legends of Learning. 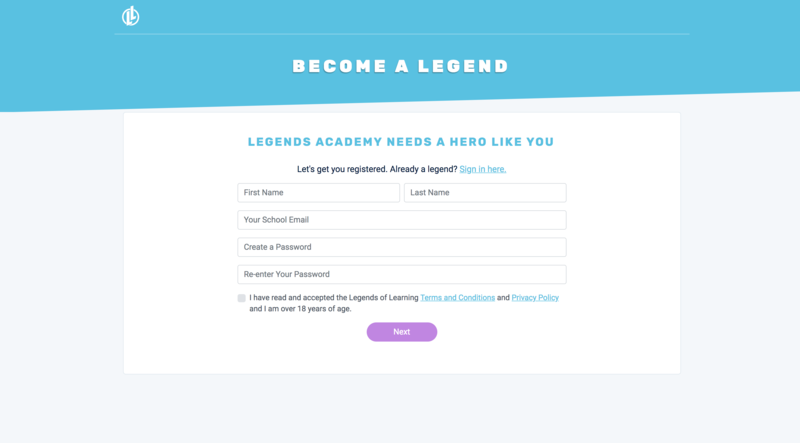 New to Legends of Learning? 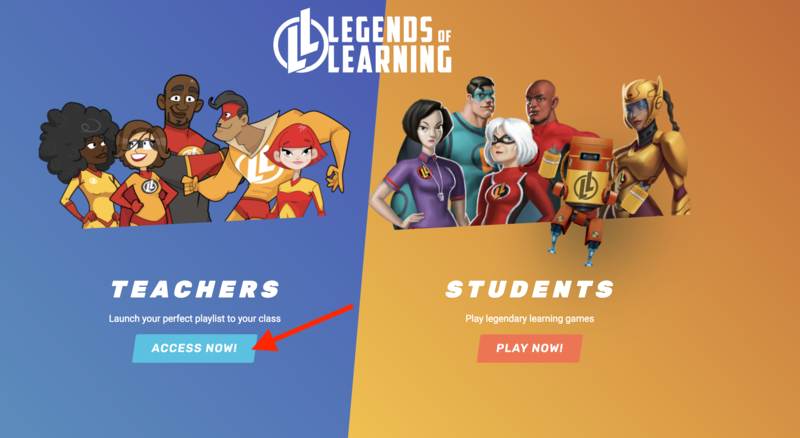 The first thing you'll want to do is browse learning objectives and explore our games.